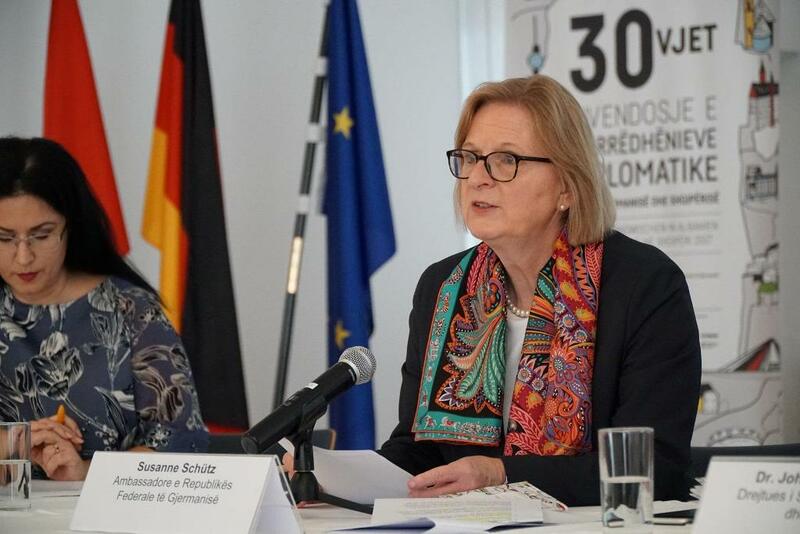 In an interview for Deutsche Welle, German ambassador to Albania, Susanne Schütz said that the judicial reform that authorities in Albania have launched is a success story and that the EU supports it. During this interview, Schutz also said that this reform may also attract more investments in the country. As far as the recent political situation is concerned, ambassador Schutz said that “of course German media have reported about the political situation in Albania and the violent clashes which were seen during the opposition’s protests. Potential German investors see images of stones being thrown, Molotov bombs and teargas. So that Albania’s image in front of investors is not damaged, the opposition has a responsibility to moderate its political discourse, especially in institutions, which means, above all, parliament”.